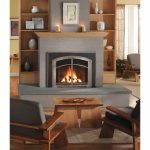 Fireplace inserts are a beautiful, practical, effective way to bring the warmth of a fireplace into your home. These modern, alluring installations come in a wide variety of styles and options, and Marcell’s Specialties Inc. is ready to bring you a selection of products that’s simply unparalleled. 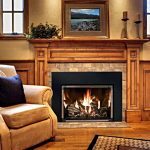 We stock pellet, electric and wood fireplace inserts in Wausau, WI, with expertise across the full range of brands we stock. We invite you to stop in and take a look at the many quality inserts we offer and see for yourself the high level of appeal they can bring to your home or commercial space. 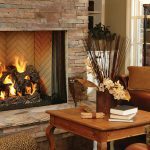 Fireplaces create a cozy and warm atmosphere in your living area and nothing beats the crackle and snap of burning wood on a cold, winter night. 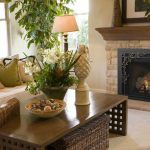 But many homeowners tire of the effort required to maintain a wood-burning fireplace, including hauling or stacking wood and cleaning up ash afterwards. 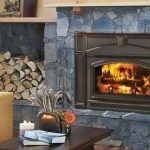 If you are considering switching to a gas fireplace, read on to learn more about gas logs versus gas inserts before you make your purchase. Either product will certainly be more convenient, enabling you to heat your home with the flip of a switch. Gas logs are decorative in nature. This style of fireplace is designed to look like burning wood and can be installed in your existing fireplace opening. 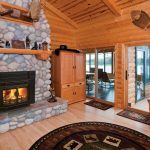 Many homeowners like the realistic look of the fire logs and the ease of using the gas logs, which can be operated manually using a wall switch or a remote control. Gas logs will also emit more heat than a wood burning stove. 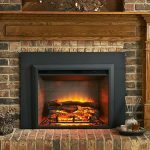 Gas logs are less expensive than gas inserts, which is helpful if you are working within a budget when upgrading your fireplace. Don’t change the look for your fireplace. 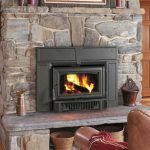 Gas logs must be installed in an existing, working fireplace opening – meaning the fireplace masonry and chimney need to be in good working order. 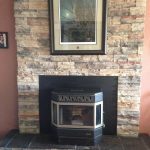 Like gas logs, gas inserts can be installed in an existing prefabricated or masonry fireplace and ventilated through the existing chimney. Gas inserts are furnace-rated appliances, which means that they can be used as a zone heater focused on heating a specific area or your home. Gas fireplace inserts are installed as a sealed system with a glass door. 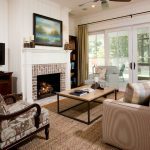 As a sealed system, no air from inside the home will escape through the fireplace or chimney, making this fireplace option more energy efficient. A gas insert also features a blower that pushes warm air into the room for more powerful heating, as opposed to just radiating heat out naturally. As a result, gas inserts are much more efficient heaters than gas log sets, with efficiency rated between 80%-88%. Gas inserts are available in a variety of sizes and heating capacities, so you can purchase and install one that suits the heating needs of your specific living space. Typically, gas inserts are capable of heating spaces that range between 1,000 and 3,000 square feet. An added benefit of gas inserts is their safety, with direct-vent gas inserts being the safest. 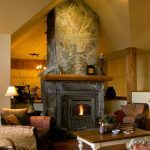 Direct ventilation draws air from outside of the house to operate and directs any gases or moisture generated by the fireplace out through a ventilation system (rather than a traditional chimney). Air quality in your home is most secure with a direct-vent gas insert. Once installed, gas inserts require little maintenance other than an annual service check-up. Direct vent technology. This means this is a sealed combustion and uses 100% outside for combustion. Gas inserts are more expensive to purchase and install. 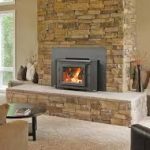 If you are interested in simplifying your home heating method or upgrading and updating your fireplace by installing gas logs or a gas fireplace insert, you will experience the convenience and luxury of enjoying warmth with the touch of button. 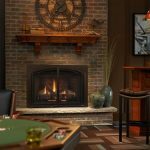 To make sure you’re happy with your investment in a fireplace insert, the team at Marcell’s Specialties Inc. will take the time to walk you through every model you’re interested in, so you have a full understanding of the features and operational benefits. We can also make recommendations based on your needs, wants and budget, to help you find the ideal insert quicker. 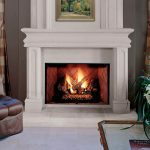 Whether you’re set on a gas fireplace insert or you’re open to the benefits of a pellet model, the team at Marcell’s Specialties Inc. is here to help you. Visit our showroom today to see the many models and brands we offer, or contact us by calling 715-848-5194 with any questions you might have.